Stunning engagement rings need not come at a great cost. 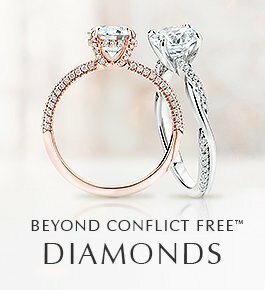 Many beautiful options are available at any price, including gorgeous solitaire styles, halo engagement rings, and rings with side stones. When shopping for a diamond engagement ring under $2,000, learn which diamond characteristics are most important to you so you can create the ring of your dreams and stay in your budget. Browse our gallery of beautiful engagement rings under $2,000 to find inspiration for the perfect affordable ring.